JinkoSolar Holding announced the appointment of Gener Miao as its Vice President Global Sales and Marketing. Miao previously served as Chief of Staff for JinkoSolar’s Chairman since 2010. Prior to 2010, Miao worked at Fosun Group’s Tebon Securities and Ingersoll Rand China Investment. 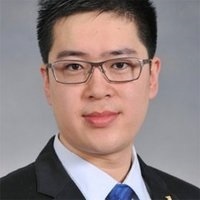 Miao received his MBA from the China Europe International Business School, his master’s degree in finance and economics from the University of Southampton, and his bachelor’s degree in mathematics and applied mathematics from Tongji University.